Calling our office directly is the best way to make an appointment, but you can also request an appointment here. We will do our best to accommodate your busy schedule. At Pleasantville Animal Hospital of Fallston, our family-owned veterinary practice takes great pride in being the area's go-to veterinary hospital for all their pets' health and wellness needs. For 15 years, we have been the chosen vet team for many pet owners in the Harford County region, including the Fallston, Bel Air, Forest Hill, Abingdon, Baldwin, and Jarrettsville communities. We know that you love your pet like family, which is why all the members of our veterinary team and office staff go out of our way to treat your pet like one of our own. Ultimately, our goal is to provide you and your pet with the highest standard of service and care each time you come into our office. 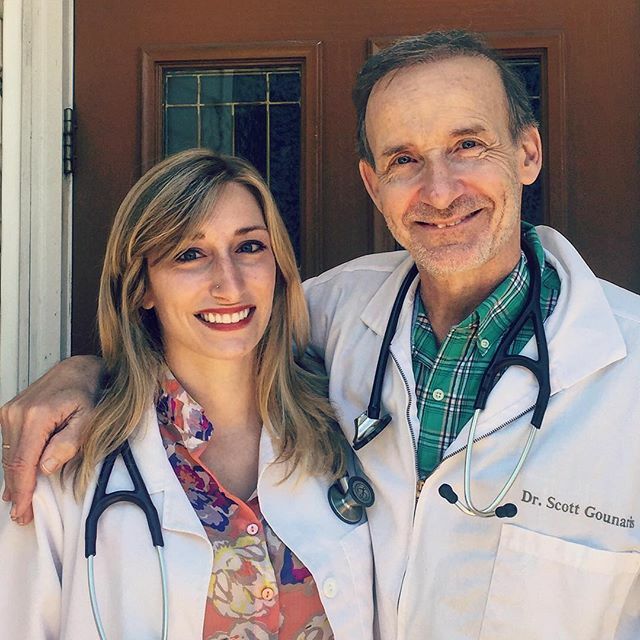 One of the most unique aspects of our veterinary hospital is our father-daughter veterinarian team, Dr. Scott Gounaris and Dr. Rebecca Gounaris, who work as a team on each case that walks into our clinic. Dr. Scott Gounaris has more than 40 years of experience in the veterinary field, having completed his doctorate of veterinary medicine at the University of Florida in 1982. Today, he sees patients in our Fallston office and enjoys helping pet owners stay educated on keeping their pets healthy and happy. 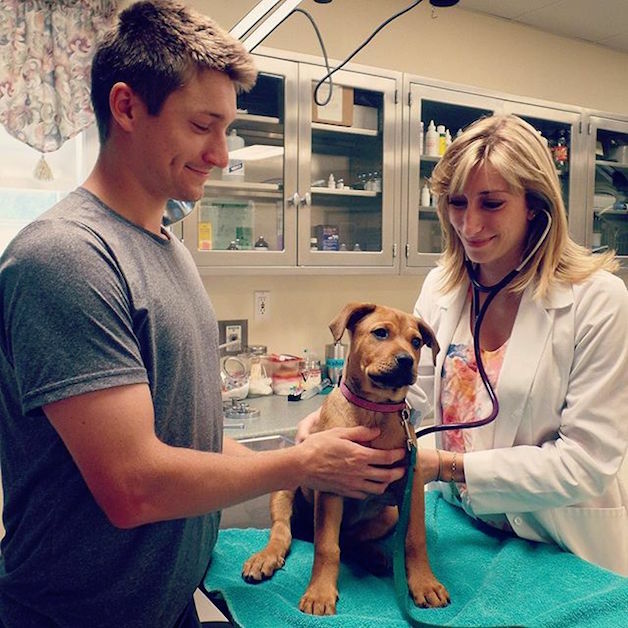 Dr. Rebecca Gounaris has been practicing veterinary medicine since she completed her doctorate at the Virginia-Maryland College of Veterinary Medicine in 2016. After completing a number of valuable externships, she joined our team and now provides quality care to not just dogs and cats, but birds as well. In addition to our veterinarians, we also have a number of veterinary assistants, reception staff, groomers, and office managers who help keep our practice running smoothly! We take a lot of pride in being a full-service animal hospital, and we strive to be your one-stop shop for all your pet's health and wellness needs throughout all stages of life. Perhaps our most common services offered are preventative care services, including annual wellness exams, vaccinations, parasite prevention, and the like. We also perform a number of surgical procedures in our office, using only the latest and most state-of-the-art medicine and technology to ensure your pet receives the best care. From spay and neuter surgeries to more complex surgeries, you can rest assured that your pet is in good hands. We hope you and your pet are never in need of an emergency vet, but if your pet does experience a medical emergency during our office hours, we encourage you to bring him or her in as soon as possible. Our veterinary team has experience handling any number of emergency situations. Please, if possible, give our emergency vet a heads-up by calling on your way in so your pet can be seen as quickly as possible upon your arrival. Request an Appointment With Our Fallston Vet Today! Whether you're ready to schedule an appointment with our Fallston veterinarian or want to find out more about our practice, feel free to give Pleasantville Animal Hospital of Fallston a call today at (410) 877-3838. We also welcome you to subscribe to our newsletter, which is created especially for pet owners. We are also very active on social media, so we encourage you to like us on Facebook, follow us on Instagram, and very much appreciate when clients share their experience by rating us on Google. We look forward to serving you and your pet! We treat your pets like the valued family members they are, and welcome you to join the Pleasantville Animal Hospital of Fallston family! "We have been taking our animals to Pleasantville Animal Hospital for many years for many different animals. The Docs are fantastic, staff is friendly and helpful and we love the small town feel Vet. Quality service and compassion is always given!" "We love Dr. G, and the entire team at Pleasantville Animal Hospital. My lab loves going there and she has always been treated wonderfully. The office is immaculate, and is filled with a caring and dedicated team who always go above and beyond in making our dog feel special."